Home » Did you know » Are Over-the-Counter Readers good enough? If you are over 40, chances are you need reading glasses (or you will soon!). You can purchase these eyeglasses on your own from a local drugstore, or you can buy prescription glasses from an optical store. What’s the difference? For starters, generic reading glasses (also known as readers) bought over-the-counter are designed especially for presbyopia. This refers to the age-related condition in which your natural eye lens loses flexibility, making it hard to focus on near objects. These spectacles will not address other visual conditions, such as nearsightedness or astigmatism, as they are constructed from magnifying lenses set into eyeglass frames. Over-the-counter eyeglasses are typically lower priced and lower quality, especially when compared to the durable, designer frames in our Lafayette, MI, optical collection. The frames tend to be weaker, and the lenses scratch easily. Readers also have the exact same prescription in each lens. Therefore, if your vision condition isn’t identical in both eyes, then it may be difficult to focus with these generic glasses. Yet one distinct advantage of drugstore spectacles is their convenience. 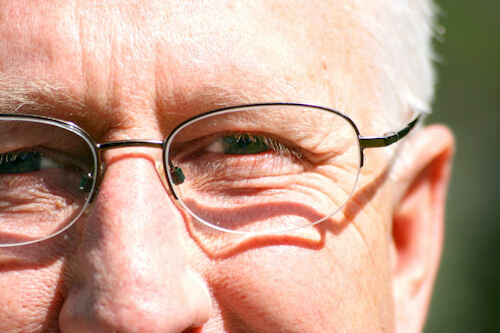 If you only need reading glasses occasionally, then this may be an ideal solution for your presbyopia. Wearing them for an extended period, such as reading for hours, may cause eye fatigue and headaches. Yet if you only need to put them on to read the fine print at the bottom of a package, then they can be fine for your requirements. You can easily buy a few pairs and store them where you need them most! Keep one pair in your desk drawer and another in your bag. When we craft prescription eyeglasses for you at Lamorinda Optometry, we follow a precise vision prescription provided by your eye doctor. To determine this prescription, your eye health and visual acuity will be tested thoroughly by Dr. Orr. Your reading spectacles will then be custom-made to match the needs of each eye, respectively. In contrast to the display of generic readers in the drugstore, there’s no limit to the range of lens powers available from our optical store. Lenses made in a prescription laboratory boast higher quality and sharper clarity. The frames are adjusted to suit your face, and the optical center of the lenses is placed in the ideal position you need for comfortable reading. You will be able to choose the perfect pair of designer frames from our quality collection, and we’ll fit them with the correct lens powers. We’ll also offer you options such as scratch-resistant and anti-glare coatings. Can generic readers hurt your eyes? No. Wearing these over-the-counter glasses may bother your eyes or cause a headache if the prescription isn’t correct, but they will not damage your lasting vision. To ensure that you purchase the right power of lenses, it’s a good idea to have an eye exam from a knowledgeable eye doctor. Even if you opt not to buy prescription reading glasses from an optical laboratory, a full vision test is the best, most reliable way to find out the magnification that you need!